Bree Carlton researches and publishes in a wide range of areas relating to the history and prison studies nationally & internationally. Dr Carlton’s recent articles have been published in journals such as Punishment and Society, The Australian and New Zealand Journal of Criminology and Social Justice. 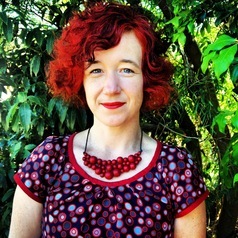 Dr Carlton was a recipient of the 2005 Australian Academy of Humanities Travelling Fellowship for her research on women and political imprisonment in Northern Ireland. In 2008 her book Imprisoning Resistance: Life and Death in an Australian Supermax (2007) was nominated in the True Crime category of the 8th Davitt Awards. Her current research is focused on gender, imprisonment and post-release survival.